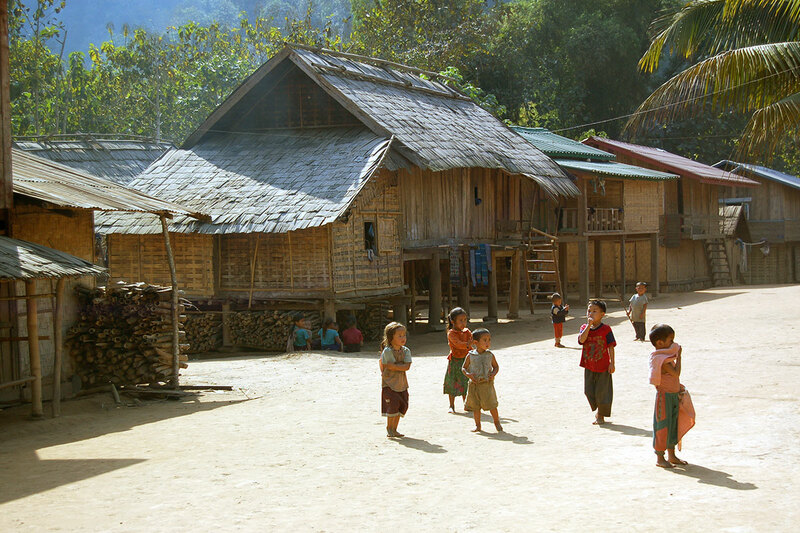 9-day journey in Northern-Laos, trekking, homestay, cuise. This 9 day / 8 night journey will show you a part of the real Northern Laos, between the high holy centre and the simple wild life around. 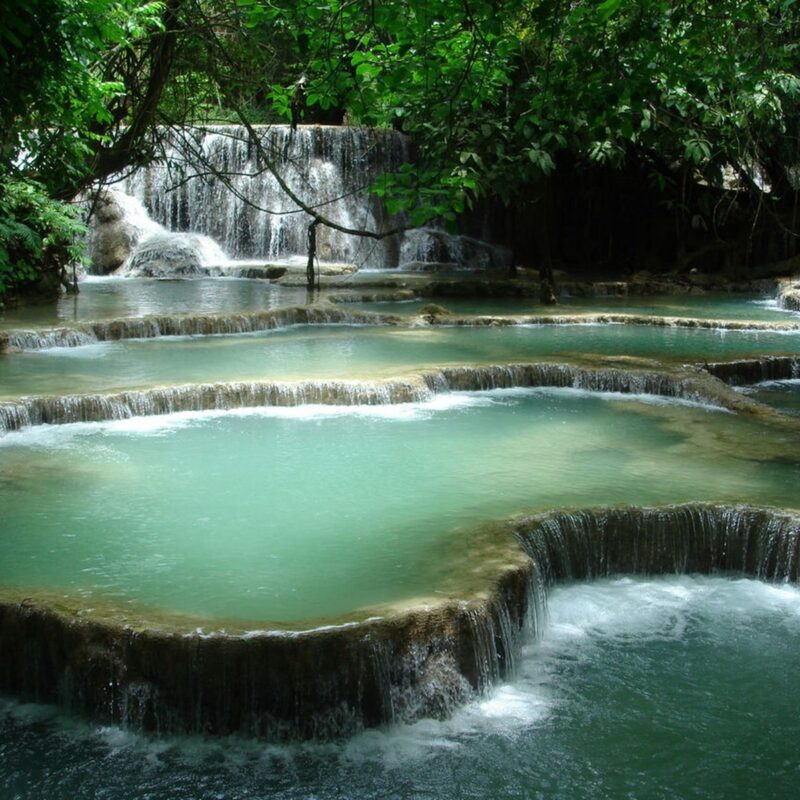 We will first have a visit of Luang Prabang, the jewel of the Mekong, the city of a thousand pagodas. 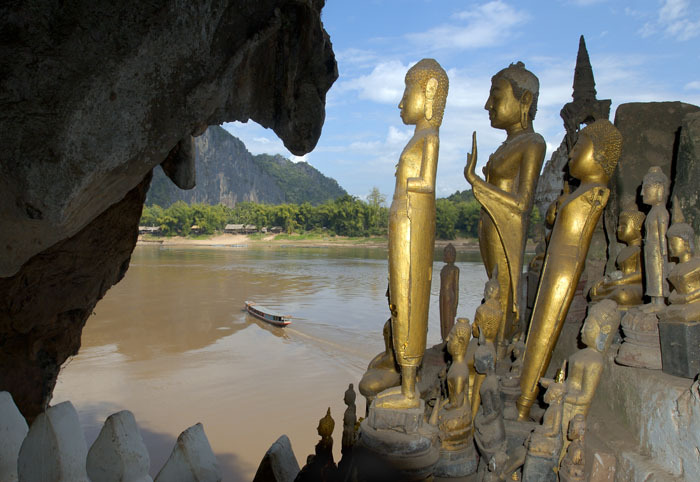 We will then explore further north, in a remote area region, one of the cradles of Laos. Your guide will be meeting you at 8.30am at your hotel to have a 1st day visit of the centre-town. This town, world heritage since 1995, have a charm of an old and preserved jewel. The numerous pagodas all around and their hundreds of novices give to the area a saffron colour that inspires the eyes and the feelings. We will start with the National Museum (and former Royal Palace) which displays a lovely collection of artifacts, which reflect the richness of Lao culture dating from the days of the early kings right through the last sovereign. 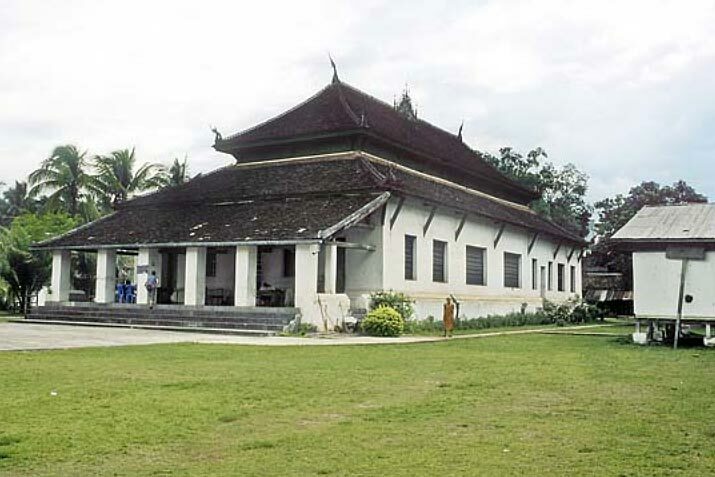 We will continue with the temple close by the museum, the Wat Mai temple, one of the most important of Luang Prabang. 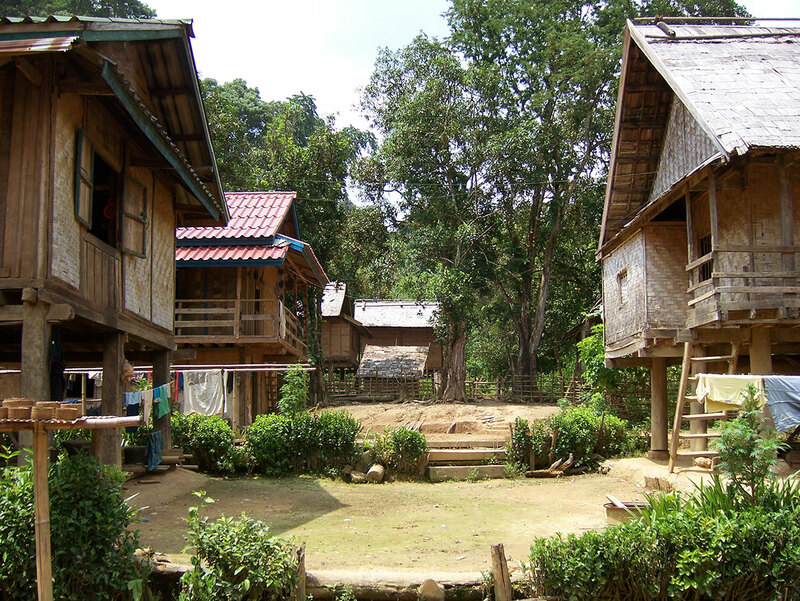 We then will walk or drive to the Traditional Arts and Ethnology Centre to discover the diversity of the Lao culture with more than 100 ethnics in the country. After that visit, we can learn about the secret war with the UXO Centre (close Saturday & Sunday) dedicated to their work consisting on clearing the Unexploded Ordnances that kills every year in Laos. 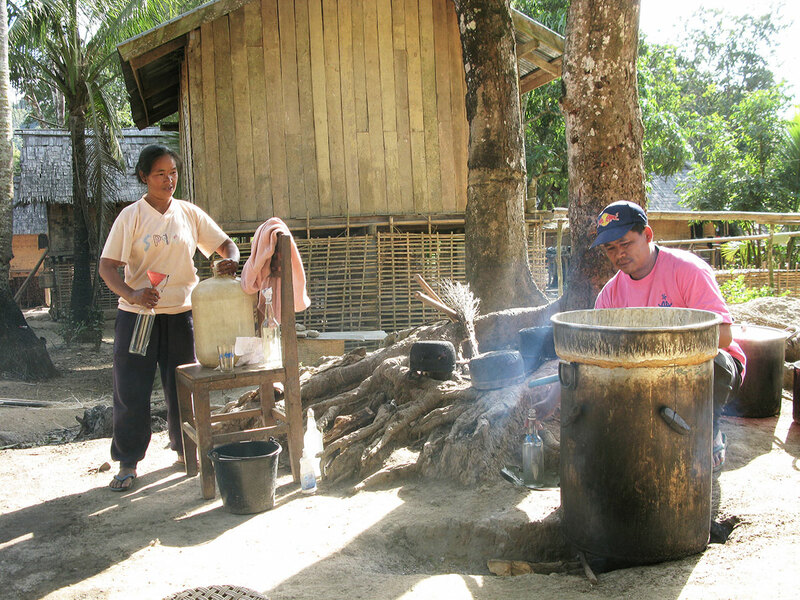 We will take the road to the weaving village of Ban Xang Khong. On the way, we will stop to visit the Wat Visoun and its stupa, the That mak Mo, and later on a stop to visit the unique Wat Phon Phao temple. Ban Xang Khong is then our next visit. 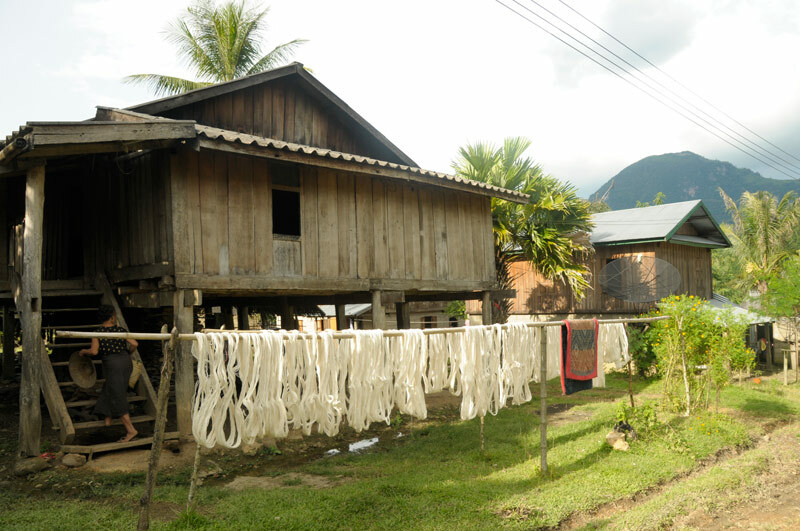 This village is specialised in weaving silk, and the Saa paper production, made by the bark of a local tree. 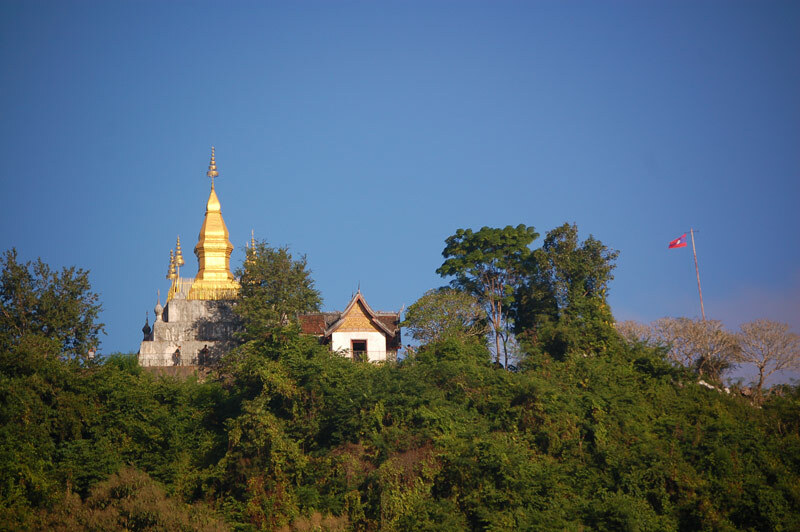 We will return in term to have time to climb the Phousi Hill to explore the sacred, gilded stupa as well as capture a beautiful view of the city and admire the sunset that get reflected on the Mekong River. From there, we visit the Night Market, where you can browse a lovely selection of handmade textiles, made by the local and hilltribe people surrounding Luang Prabang. We will start today with the visit of the magnificent Wat Xiengthong with its roofs sweeping low to the ground, which represents the typical classical Laotian architecture. We can continue by the visit of the Phosi Market, the biggest market of Luang Prabang and more generally from Northern-Laos. Close by the Weaving living Centre of Ock Pop Tok, proposing exhibition, explanations about the silk weaving process including the dyeing, the spinning. 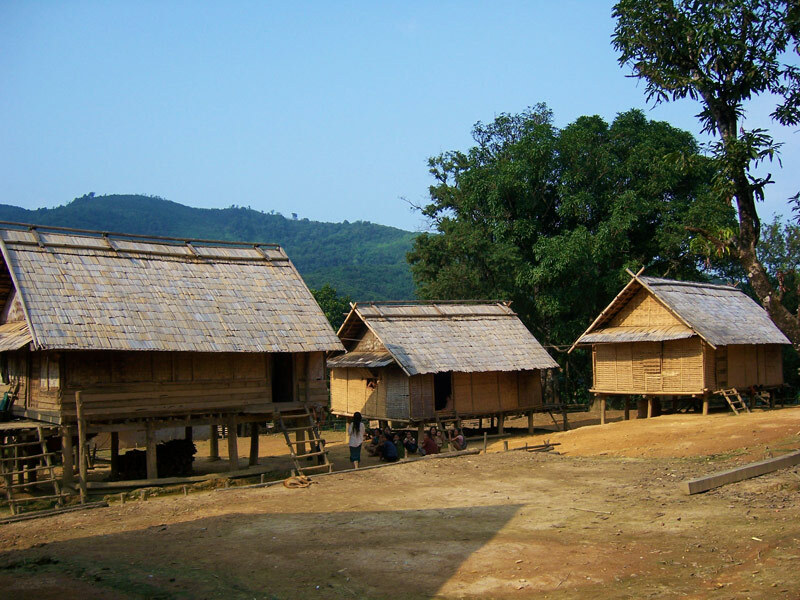 We are then driving around 1 hour toward Kuang Si Waterfall; en route, we can stop in some villages to visit local Lao ethnic minority groups at Ban Ouay, Hmong Village, Ban Ou, Laoloum Village and Ban Thapene, Khmu Village. 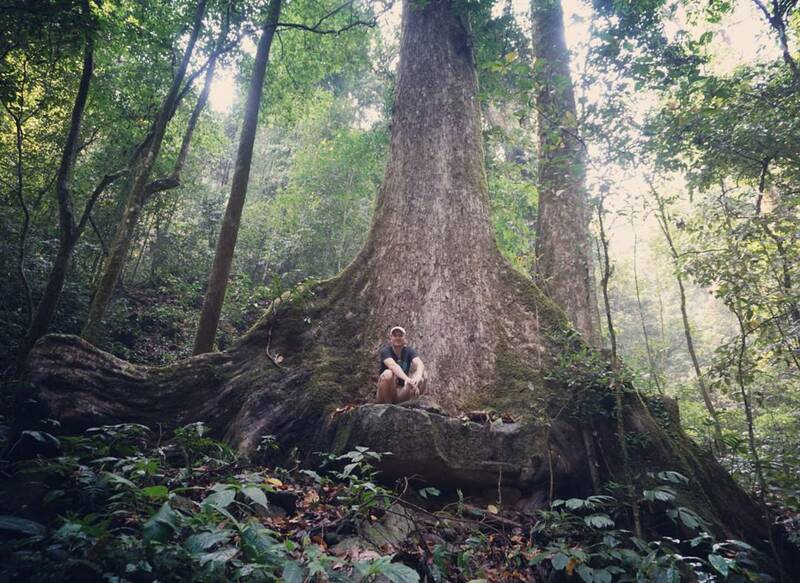 We then drive to the beautiful Kuang Si Waterfall where you can splash around in the turquoise pools or walk along the forest trails after having explorer the new Rescue Bear Centre hosting numerous specimen. You can choose to also visit the Butterfly Park (not included in the tour), or pay a visit to the Elephant on the way to the waterfalls. You will find many restaurants around, local one, and the new Carpe Diem located in a waterfalls environment. We return to Luang Prabang by mid-afternoon before sunset, to enjoy this moment in Wat Phabatthai temple. Today early start gives you the fantastic opportunity to participate in the daily morning rituals of saffron-clad monks collecting offerings of Alms (ubiquitous sticky rice) from the faithful residents. This tradition is very unique in Laos, being the only Buddhist nation still preserving the procession. We will have prepared everything for you to participate yourself, introducing first to the tradition, and having all material for your maximum comfort and respect. Before back to hotel, you will have the opportunity to visit the morning market with all the exotic products coming from the jungle around the ethnic group propose very early in the morning to be back home as soon as possible. 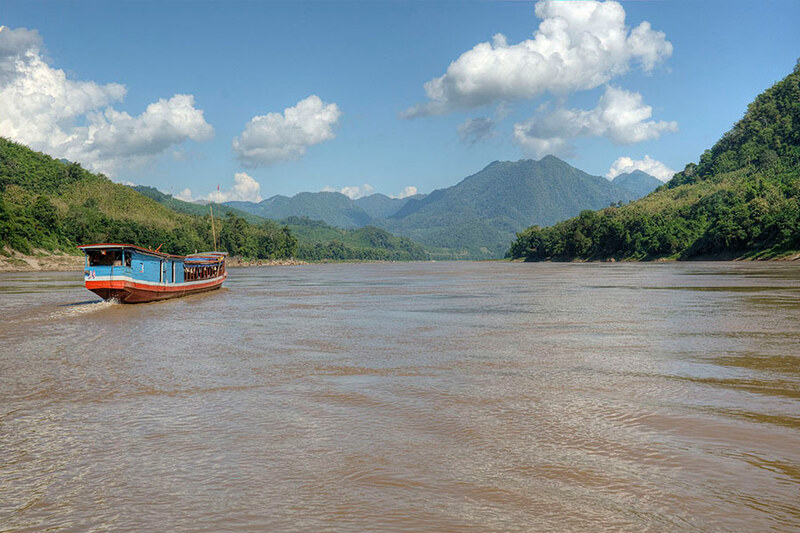 After breakfast, it will be time to go west by cruising 1 day the Mekong River to the village of Pakbeng, a beautiful view point located in a natural curve close to the mouth with the Beng River. Your private boat will be setup for you. With drinks and appetizers, lunch on board. After 1 hour cruise, you will stop to visit the 2 sacred caves of Pak Ou hosting hundreds of representation of Lord Buddha. You will then have around 8 hours cruise upstream, with possible stops on the way to visit ethnic villages situated on the bank of the river. 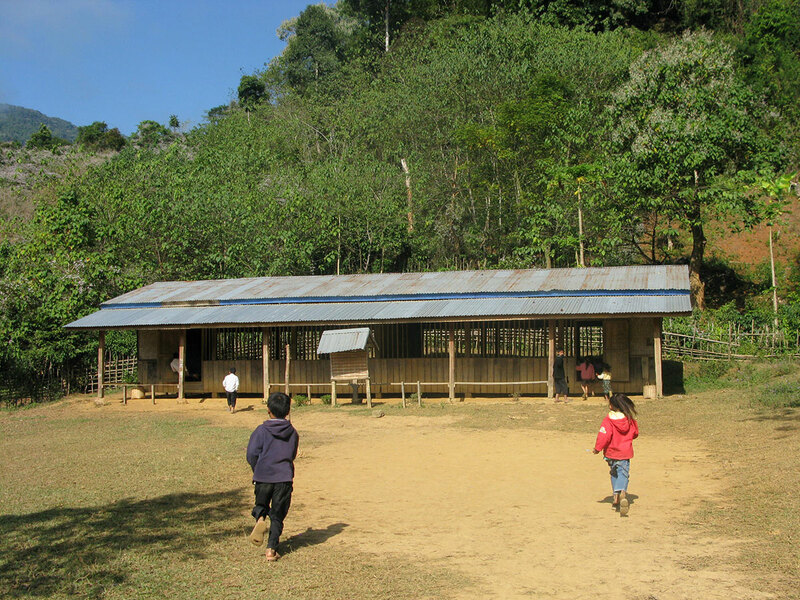 Arrival in Pakbeng before sunset. 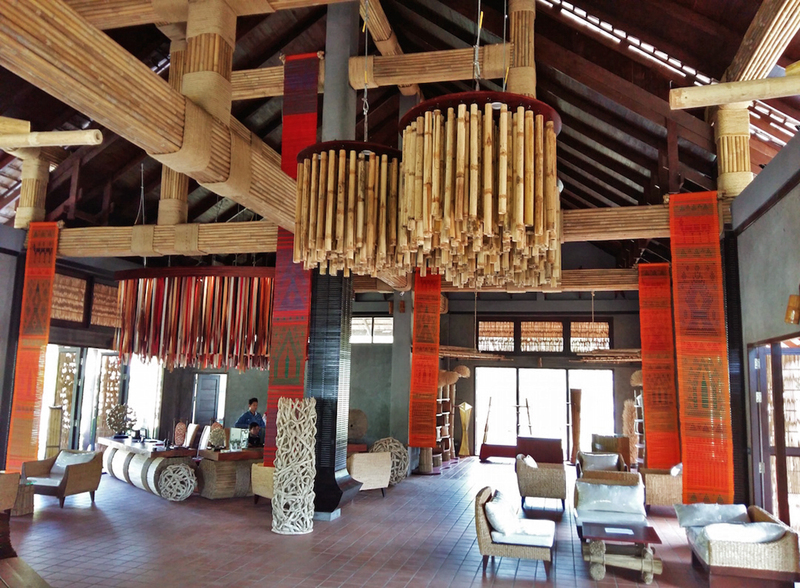 After breakfast, you will cross the Mekong River to discover the elephant camp of Pakbeng which is dedicated to the protection of elephants and offers a wonderful opportunity to discover the life of an animal who historically lived in horde in this area. 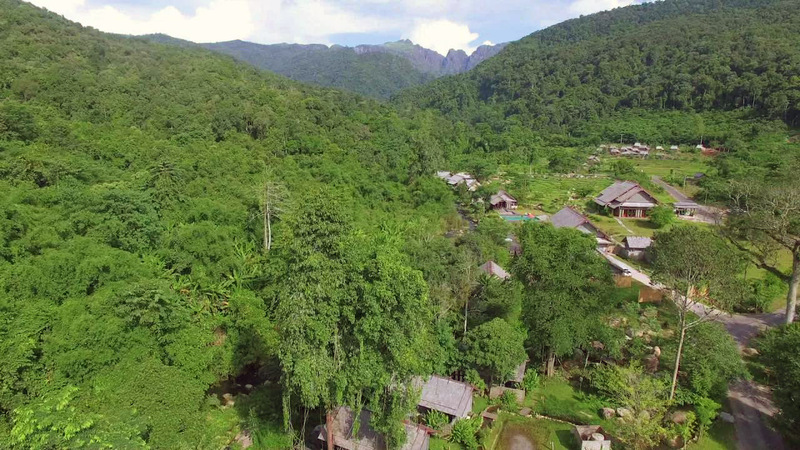 We will then be back in the minivan for around 3 hours of drive to connect Oudomxay and the superb Nam Kat Yorla Pa Resort located in the jungle where a lot of ethnic groups originally live. The area is now protected, nature is there particularly living, the rare old essences of wood are still easily reachable, and the Resort provide all activities suiting for all kind of adventurers. 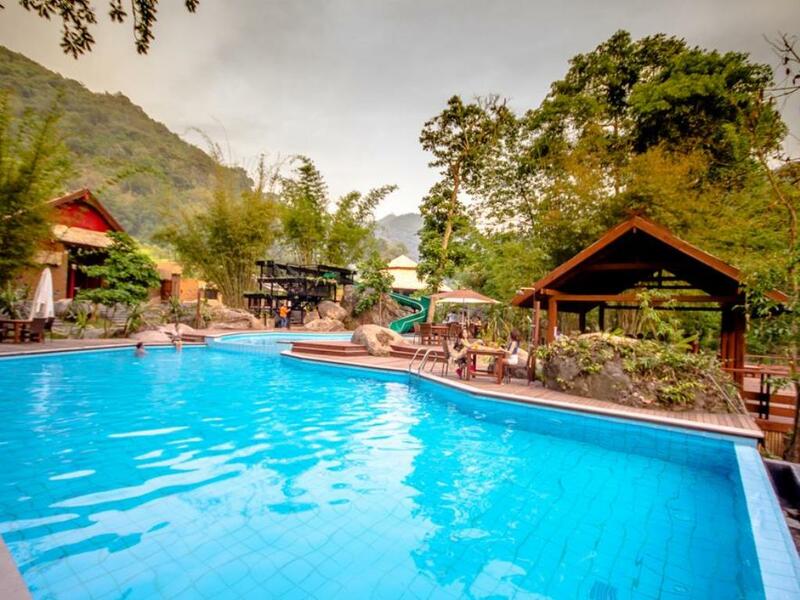 Overnight in Nam Kat Yorla Pa Resort. 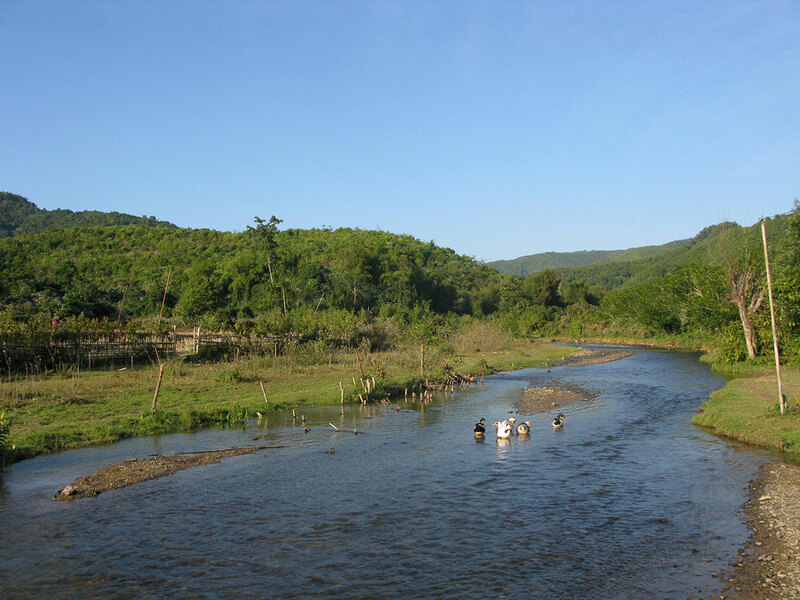 We will drive on the morning around 3 hours to reach the village of Muang Khua, located on the bank of the Nam Ou. 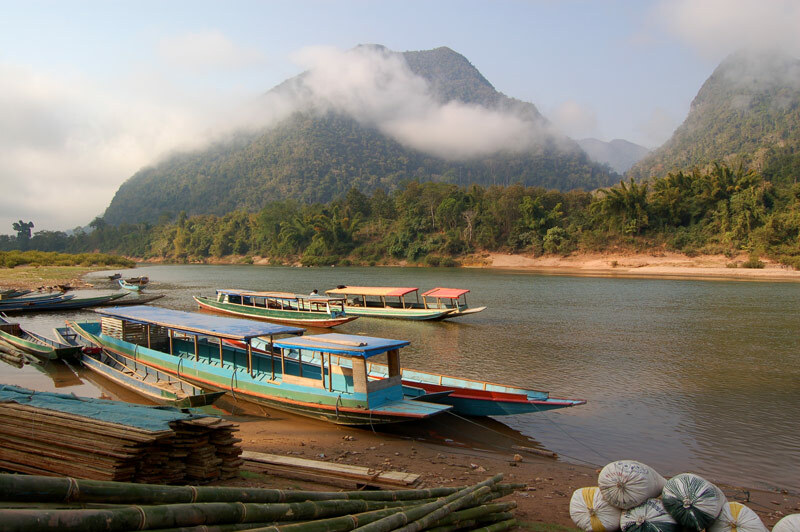 A boat will be awaiting you to go downstream to the village of Muang Ngoi, through karst formations. We will have a 2 days to meet the people living out of the roads, out of the navigate rivers, in wild part of the countryside, still living as they always have done. If most of the villages have now access to water, they almost don’t have electricity but with generators using petrol bought in Muang Ngoi. 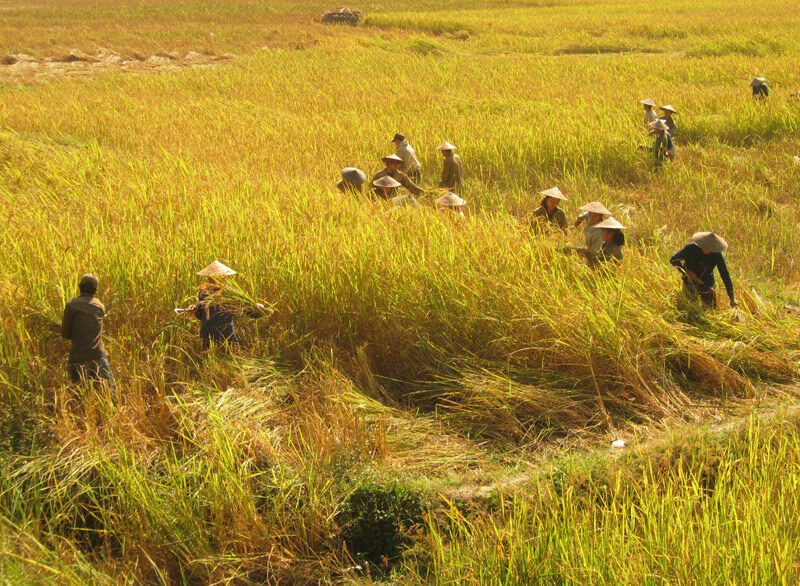 For these 2 days, we will cross little plateaus, rice fields, in a karst formations area where caves were protecting the local between the "secret war", when American planes where constantly dropping bombs... Depending on health condition, we will adapt the number of hours of walk (2 - 6 hours per day). We will probably wake up early, when the houses start to prepare the breakfast. We will spend a part of our morning observing the local way of life, before walking back to Muang Ngoi (2 - 5 hours of walk). Belonging to our plan, we can propose options: visit the waterfalls, or navigate down the Nam Ou from Sopjam to Muang Ngoi in kayak through landscape you already discovered by boat 2 days before. Arrival in Muang Ngoi before Sunset. 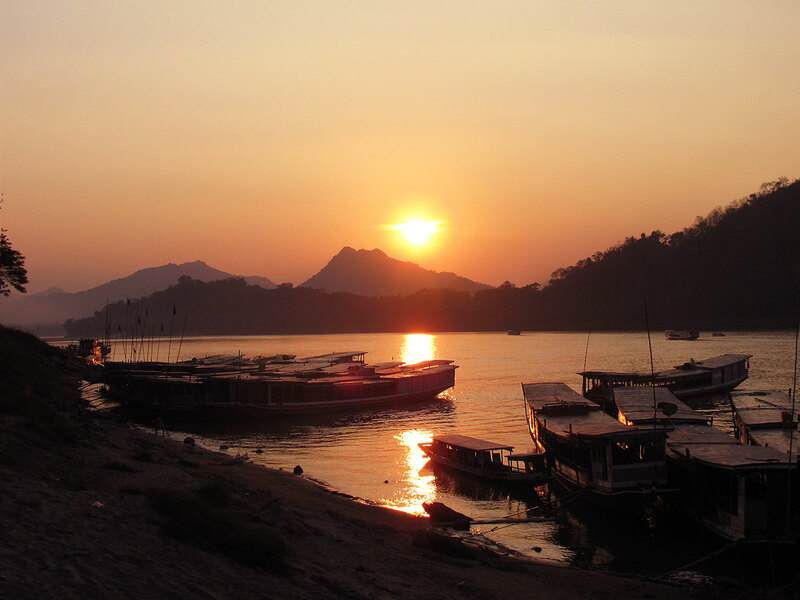 After your breakfast, a boat will be chartered for about 1h cruise, down the Nam Ou River to Nong Khiaw. Our chauffeur will be awaiting us to come back to Luang Prabang (3 hour drive). 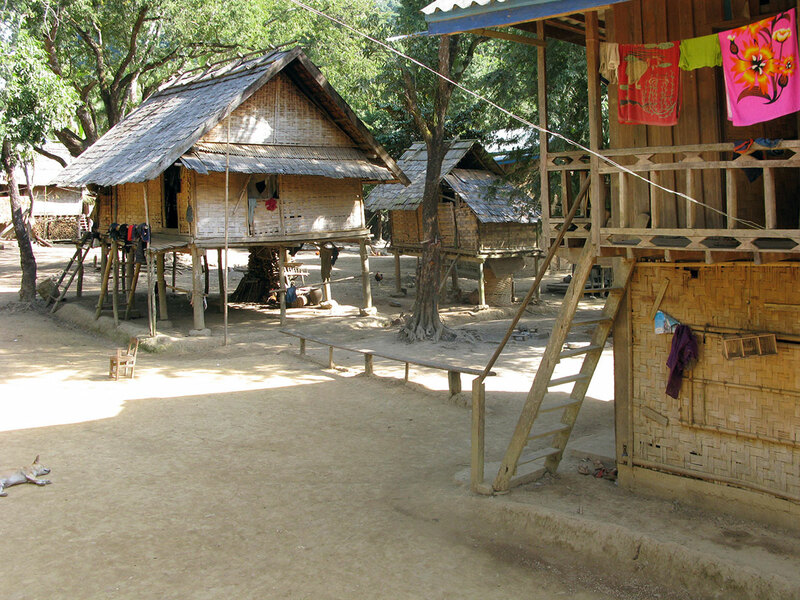 Before leaving Nong Khiaw, we will pay a visit to the Patok Caves where administration were living for a decade during the secret war. We then start our last ride. 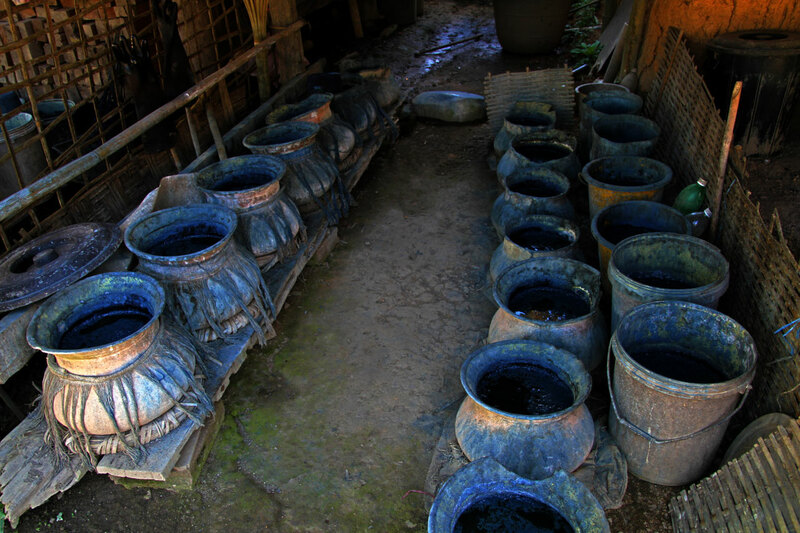 After 30 minutes of drive, we will do a detour to visit Ban Na Ngane, a Tai Lu village specialized in the production of famous cotton textiles, natural cultivating, hand spinning, weaving, to finish with indigo natural dyeing. 2 hours before landing, your chauffeur will be meeting you at your hotel to assure your transfer to the airport.